The CompactPCI standard was created to address a large range of applications, including aerospace and defense as well as communications and industrial. The standard supports both 3U and 6U cards and allows for both convection (air) and conduction cooling. Since its release in 1995, it has also been extended multiple times. Most deployments are in communications, with aerospace and defense in second place. As a telecom-focused standard, CompactPCI enjoys moderate cost-effectiveness for applications requiring lower-intensity processing, and the 3U card size system offers excellent size, weight, and power (SWaP) advantages. 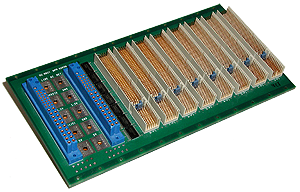 The PCI architecture also supports a variety of I/O.